Choosing whether or not to give children vitamin supplements is not quite the simple decision that it might seem. Many parents of picky eaters give multi-vitamins as it allays their anxiety about their child's limited diet. But what do the experts say? Well, lots of different things, as it turns out. I am not a dietitian - my expertise is in the psychological, emotional and behavioural aspects of picky eating so I am not out to tell parents what vitamins their children need. I thought it would be useful though, to sum up some of the thinking about mutivitamins and to suggest a few things to consider before choosing to supplement your fussy eater's diet. The only thing that almost everyone seems to agree on is that a vitamin D supplement is a good idea, especially for under fives. In the UK, the NHS advises that parents of children aged between 6 months and five years are given a daily vitamin drop containing vitamins A, C and D (although infants drinking fortified formula may have different needs). In fact, in the UK, these drops are provided for free to low income families under the Healthy Start scheme. The AAP (American Academy of Pediatrics) however, only recommend that children are given supplements if a clinician has advised it. Is there any harm in giving a multivitamin? It is tempting to assume that even if your child may not need vitamin supplements, it's best to be on the safe side and give them anyway as they won't do any harm. This isn't necessarily the case. 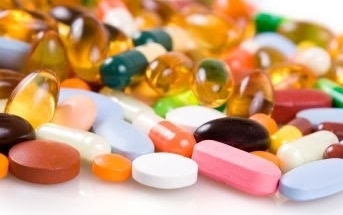 Registered Dietitian Maryanne Tomovich Jacobsen, in her post entitled Why you might want to rethink that multivitamin explains the risks of giving your child vitamin supplements without medical advice. She questions the assumption that they all have clear health benefits and cautions against inadvertently giving children too much of a certain vitamin (because so many foods are fortified). She does, however, say that most people need a vitamin D supplement and some children under three "may benefit from a multivitamin with iron if they eat little meat and fortified cereals". The Mayo Clinic in the USA, warns of the risks of vitamin supplements interacting with other medicines and an article in the UK press talks about the potentially negative impact of all the "junk" that can be found in some multivitamins, like aspartame and sorbitol. Is this about my needs or my child's needs? If you are giving a multivitamin because it makes you less anxious about your child's picky eating, this alone is the wrong reason. If you are very anxious about your child, get their weight and growth checked by a health professional and spend some time reflecting on what your anxiety is all about. Only turn to vitamin supplements if your health visitor, dietitian, pediatritian (US) or GP (UK) has advised you to do so. Is giving a multivitamin making you more relaxed about ensuring that you offer your child a varied diet? Nothing can replace a varied diet. Even if your child rejects most of the food you offer, it is still really important to keep on serving it. The excellent what to expect website cautions against becoming too relaxed about your child's nutritional needs because they are having a daily multivitamin. Will my child get more than their RDA? It is important that your child does not exceed their RDA (recommended daily amount) of any vitamin, taking into account their diet and any fortified foods they eat. This chart sets out children's RDAs, but calculating what they are getting is pretty complex and the only way to be confident that your child won't be exceeding their RDA is get specialist advice before deciding on supplements. Whether to give your child a multivitamin is, like most aspects of parenting, a personal decision. But it is always better if that decision is an informed one.